[LARGE CAPACITY]—This clear storage display case can store all your cosmetics,makeups,personal jewelry beauty care,hair care,facial care,skin care,hand care,oral care,nailcare and lip care products;Keeping your counter and dresser a lot neater looking. [ACRYLIC and HANDMADE]—This crystal clear acrylic box provides you with a good glance at what color and brand you need among all the supplies in the case.Well-made,sturdy and thicker box,not that cheap flimsy stuff! 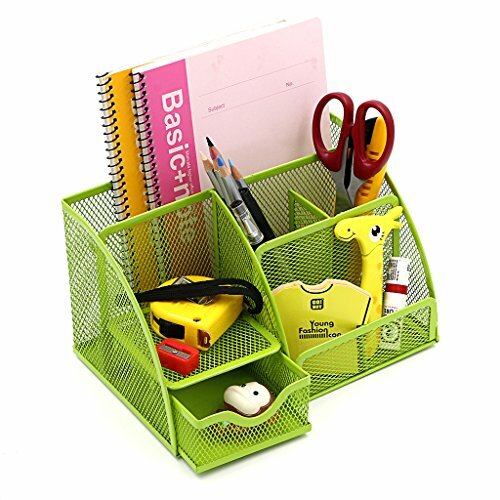 STYLISH MODERN—Storage case,organize various beauty items in one place and make your home or kitchen tidy.Holds nail polish,remover,files,art pens,cotton balls,clippers and more. 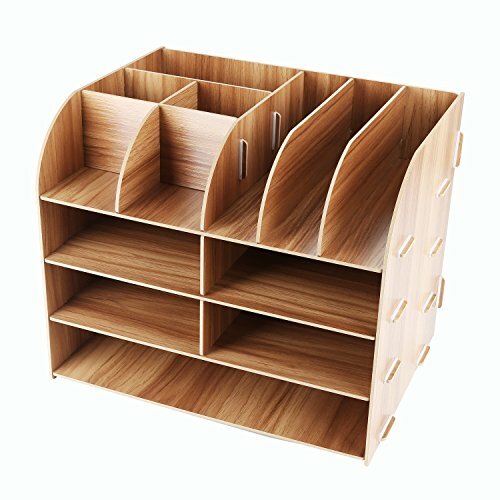 [MULTIPLE COMPARTMENTS]—You can put different supplie in different sizes compartments,storing many different types of jewelry and cosmetics in one place without the trouble of dust,keep everything clean and tidy. 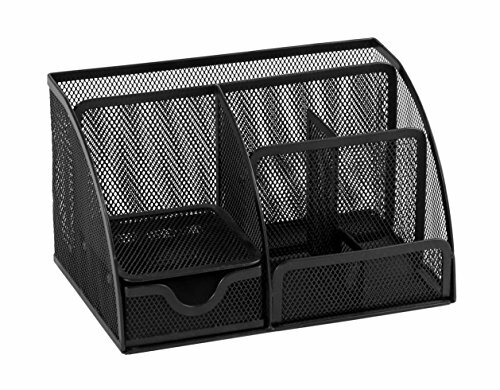 Multi-functional Mesh Desk Organizer help you arrange the desk gadgets and stationary clean and tidy. 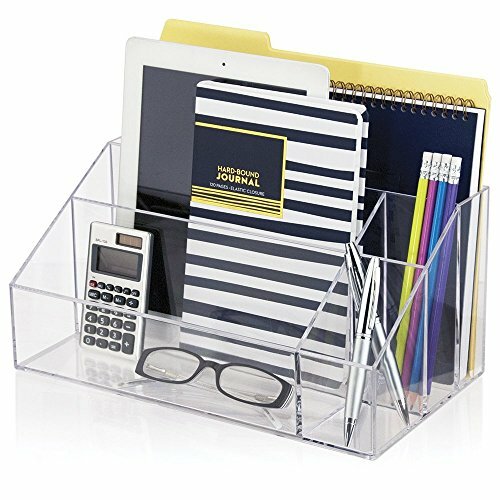 5 sorting compartments and one spacious bottom sliding drawer for organizing all your office stationary or daily essentials clear and clean. 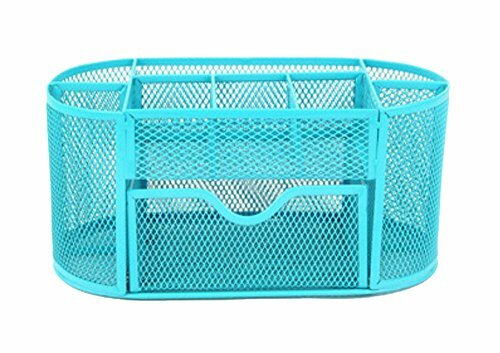 Stylish mesh design which is clear view inside each stackable cabinet helps you find every small gadget in the container fast and easily. 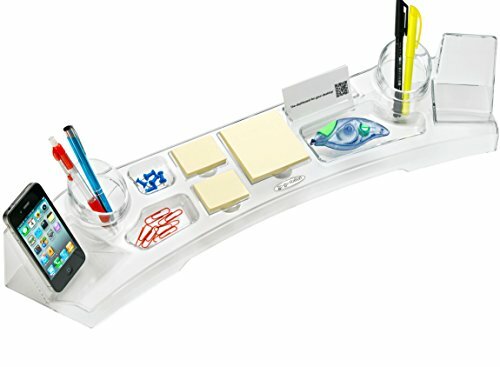 With 4 big compartments it is simple to arrange all your small office accessories for easy access. Office tidy. 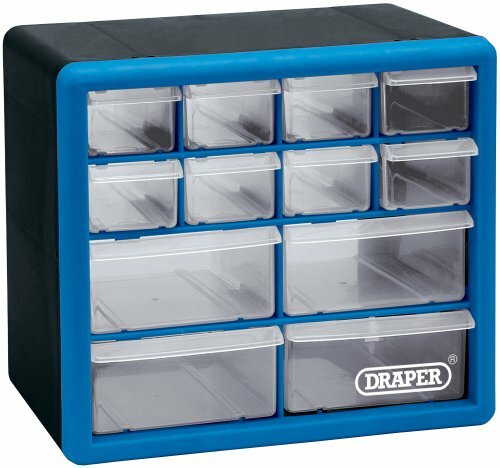 for pens and other small items. Six compartments. Colour: Black. 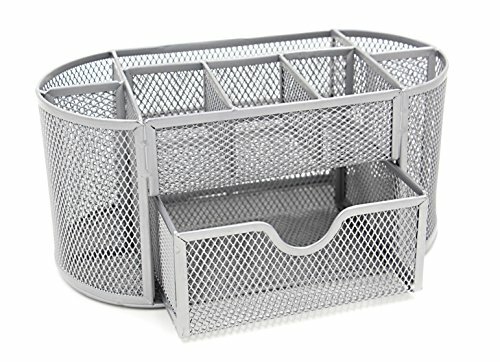 The perfect solution for all your desktop clutter ! 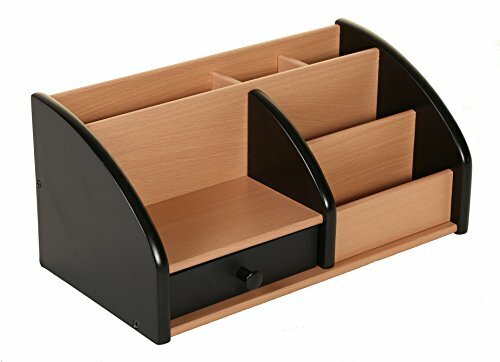 Solidly constructed yet sleekly styled in a contemporary beech effect finish with contrasting ebony black panels, this Osco Desk Organiser with six compartments and a pull-out drawer will hold pens, scissors, memo pads, coins, paperclips and even your smartphone. 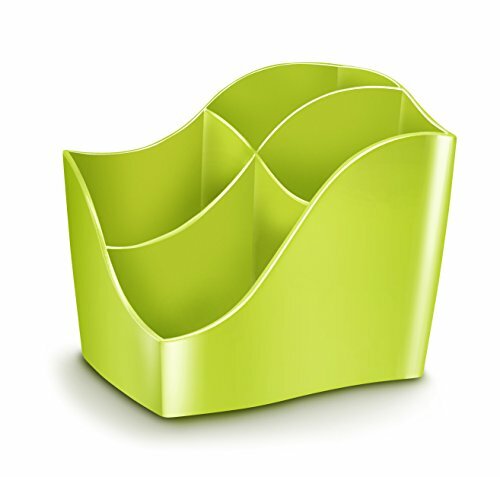 An elegant and highly practical addition to any desk whether in the home or office. 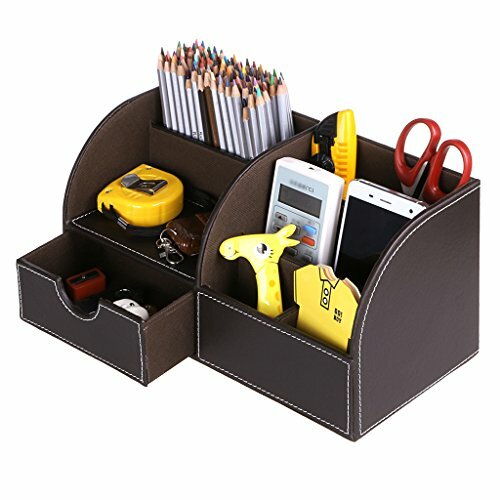 Six compartments and a pull-out drawer – holds pens, scissors, memo pad, paperclips and coins as well as your smartphone. Incorporating 6 separate compartments as well as a small drawer, it’s perfect for storing pens, envelopes and other stationery. 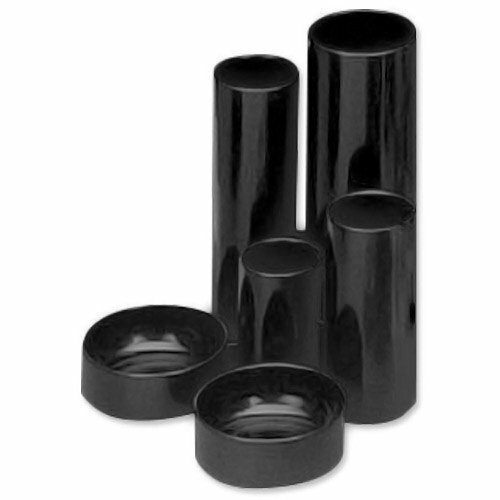 Rubber pads on the base prevent your work surfaces from being scratched. High density, scratch resistant, wipe clean black wiremesh construction.